August 9th will mark the 72nd anniversary of a football fixture that was later called the "Death Match". In a game which took place in 1942 between a local Soviet team against a German army squad in now Ukrainian capital Kiev, after which, according to Soviet stories some of the players were killed because they would not agree to lose the match on purpose. Although the Soviet version of the story has been disputed by many experts, if in fact even close to the truth, this tail is of heroism unlike any other on the football pitch. 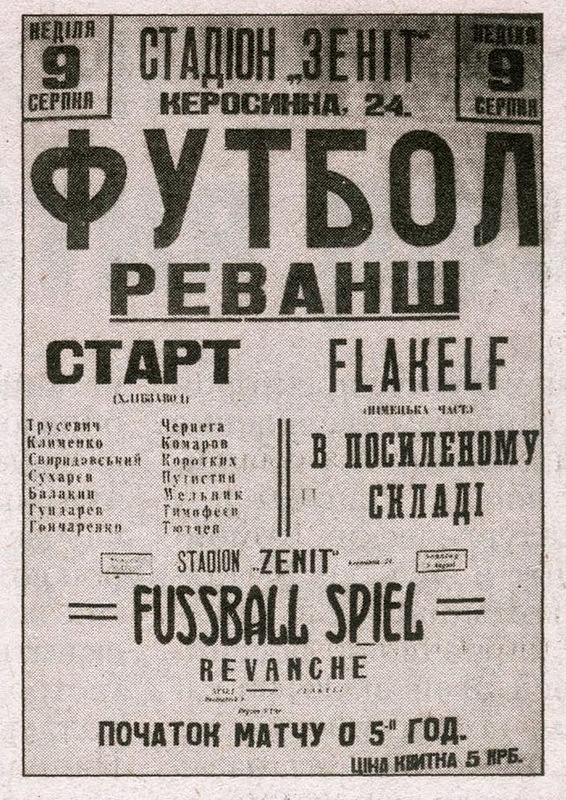 On August 9th, 1942 a match between Soviet squad Start which was comprised of footballers from Dynamo and Lokomotiv Kyiv, took on German opposition in the form of Flakelf, a team of the German air defense artillery. 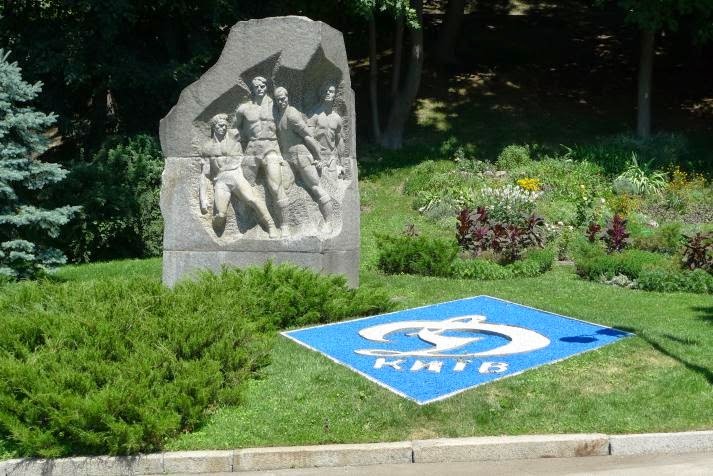 Monument in Kyiv to commemorate the Dynamo players that lost their after participating in the "Death Match"
It is said that the Soviet squad was "advised" to lose the match to the Germans, as the German army had invaded the city about one year earlier as part of the World War II dynamics. 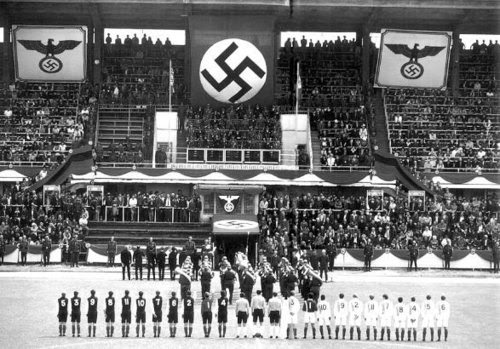 It is said that after Start refused to lose the match and instead won by a final score of 5-3, some of the squad players were shot and died for the ultimate honor of sport and their nation. Although these recollections have been disputed since the collapse of the Soviet Union, the story lives on in Ukrainian and Soviet history as the ultimate sacrifice in the face of evil and adversity. In 2012, Russian cinema released a movie depicting the history of the "Death Match" in a film callled "The Match". (Trailer below). Initially this film was was banned from release in Ukraine, with Ukrainian authorities saying "Most of the characters who collaborate with the Nazis speak Ukrainian while the admirable characters in it speak Russian and fearlessly oppose the invaders".